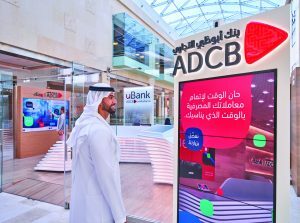 Abu Dhabi Commercial Bank (ADCB), a leading bank in the UAE, has opened its first uBank – a digital banking centre in Abu Dhabi’s Yas Mall and Wahda Mall, and City Walk in Dubai. 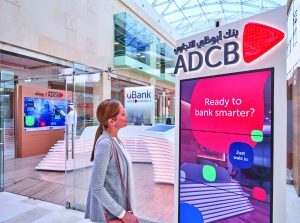 The digital signage platform of this unique banking concept is driven by PADS4, the data driven software developed by NDS. The digital banking centre aims to deliver a transition from conventional banking channels to a paperless digital experience. 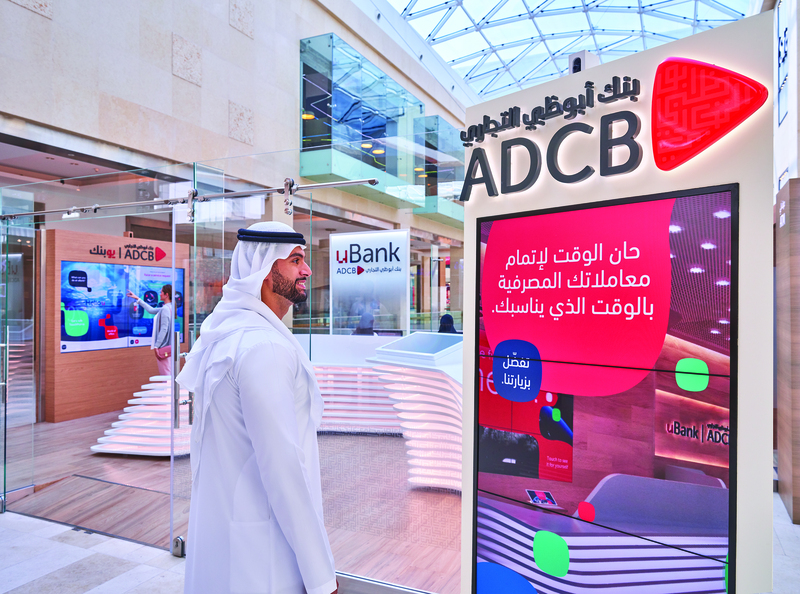 ADCB developed a new banking format, “Digital Financial Center”(DFC), an integrated platform that implements their brand loyalty programme called Touchpoints, which rewards Customers every time they benefit from banking services. This revolutionary Customer experience was created by Abu Dhabi based YAS Digital Media FZ LLC in conjunction with their JV shareholder Softec, a leading full service agency. 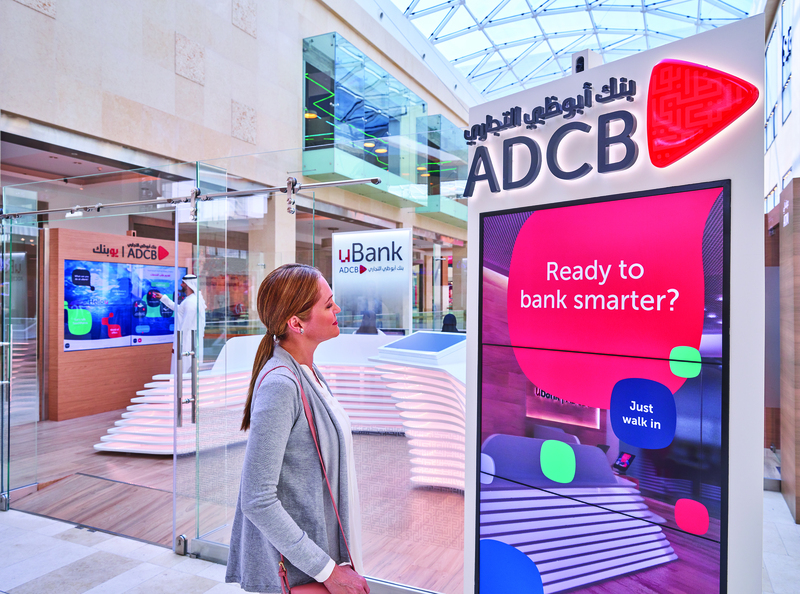 The solution provides a digital bank that promotes and welcomes Customers, reducing physical space, creating a seamless, perfect integration between the physical and digital dimensions. 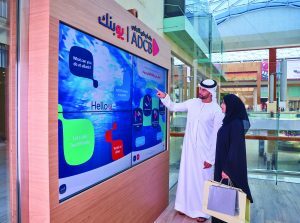 YAS Digital Media selected PADS4 to manage and display the content on the interactive video walls, external video walls and desktop screen savers. 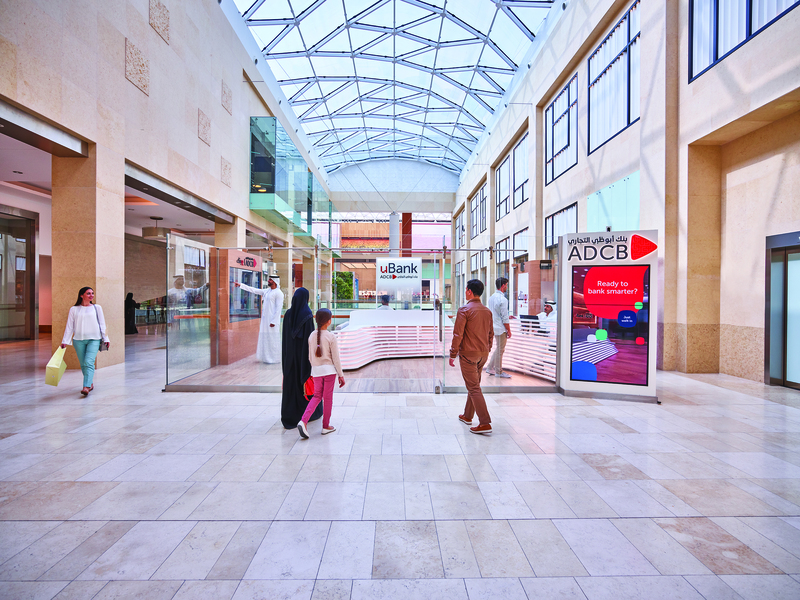 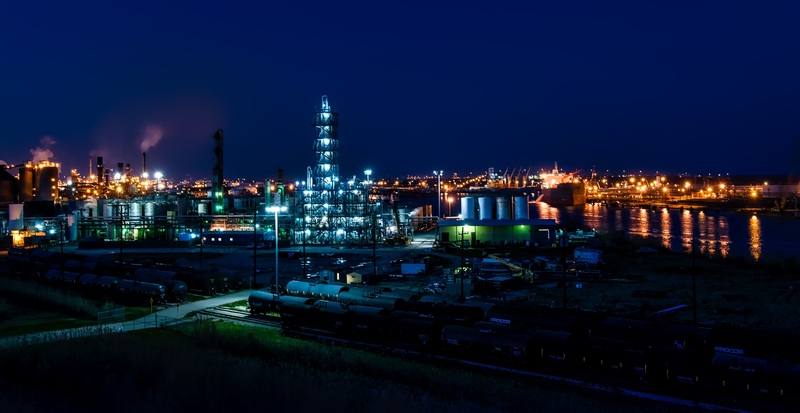 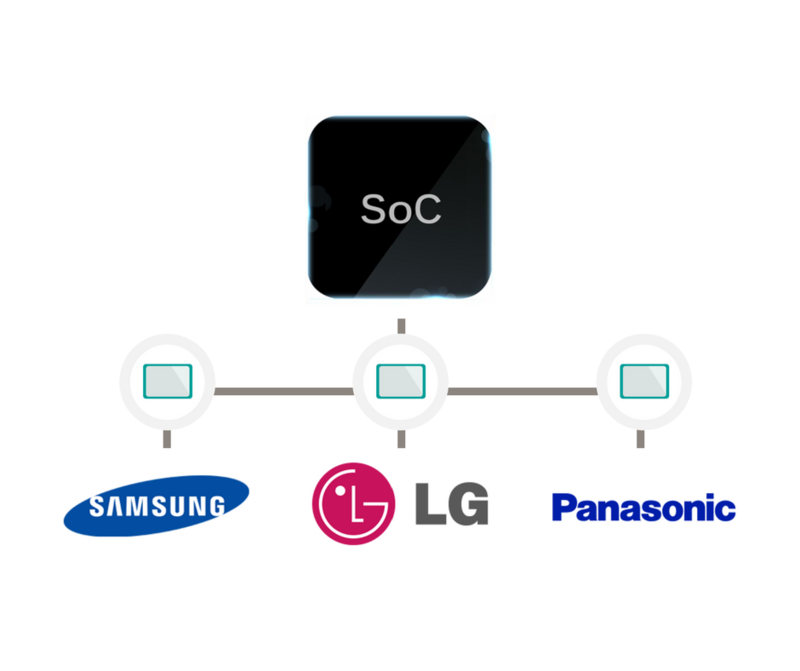 PADS4 was chosen as their digital signage platform , based on the ease of customization, scalability, flexibility and the excellent security features. 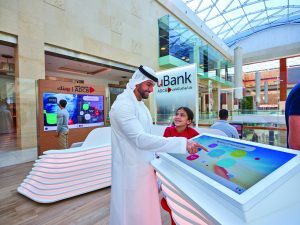 The content in both Arabic and English features information about bank products, services and promotions. 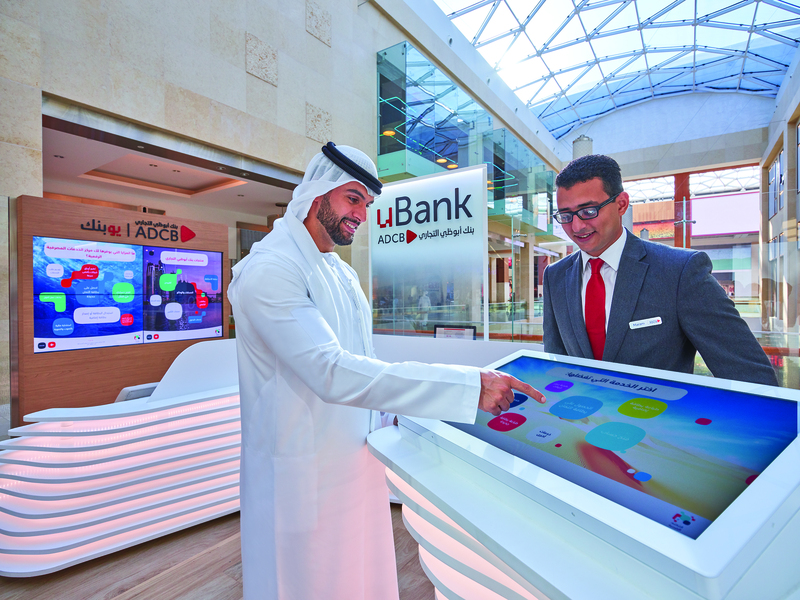 Specially trained personnel use the interactive video walls to conduct all of the in-branch sales activities. 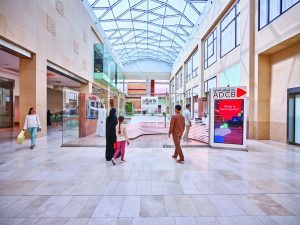   Content is updated frequently in line with the banks advertising campaigns.